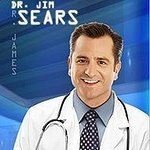 Dr Jim Sears is a host of the Emmy Award-winning show The Doctors. Jim Sears has passed away, but we remember his charity work. Google trends for "Jim Sears"
We don't have any videos related to Jim Sears.